Showcase your existing Esschert Design Garden Tumble Torch using the Esschert Design Garden Tumble Torch Stake. Elevating your torch adds drama, while helping light an area of your garden and keeping the flame away from the ground. This hardy stand stakes into your soil easily, and its all metal construction withstands many seasons of use. The 39.5" long shaft supports a 7.75" diameter holder, for accommodating an 8" diameter or smaller tumble torch (not included). The stake blends into virtually any setting thanks to its black color, and the straight shaft can be inserted deeper into your soil for versatile heights. 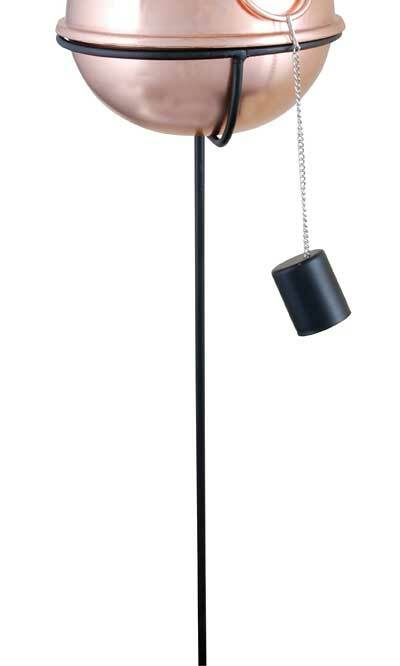 Display your existing tumble torch in a classic way with this Garden Tumble Torch Stake. Note: This description refers only to the Esschert Design Garden Tumble Torch Stake. The torch shown is not included.